Croatia has an impressive 1,246 islands dotted along the beautiful Adriatic coast. Some of the islands are inhabited holiday hotspots, whilst others are long-forgotten uninhabited destinations. 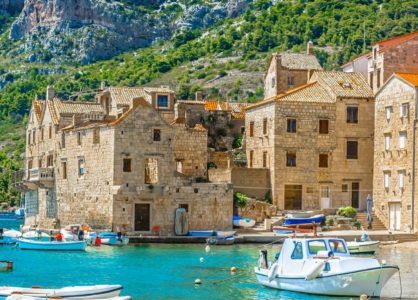 When choosing Croatia for your next seasonal getaway, you have unlimited islands to choose from. The largest island in Dalmatia is Brač. The island is just one hour away from the heart of Split. This is where you will find the world famous Zlatni Rat beach in the town of Bol. It’s instantly recognisable because of its unique horn-like shape. 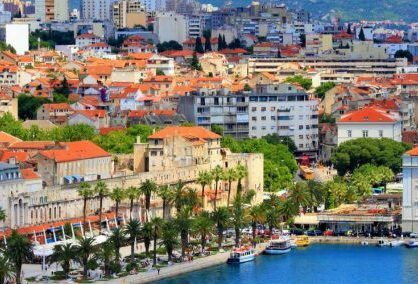 During the summer season, large numbers of tourists head to the towns of Supetar and Pučišća to enjoy the sun, sea and entertainment. Brijuni Island comprises of a group of 14 tiny islands and is situated near Pula, Istria’s biggest city. Veli Brijun is the main island and boasts a national park with over 600 indigenous plant species, plus a selection of native animals that roam freely. Also on the island is a safari park where you can spot a variety of exotic animals. Cres is one of the northern islands situated in the Kvarner Gulf. The charming island has a busy town and many small picturesque villages including Lubenice, Martinšćica and Osor. It also offers spectacular coastal views. Dugi Otok translates to ‘Long Island’ and measures 45 km in length. In the south east of the island you will discover the Telaščica nature park. Dugi Otok has many fabulous hidden coves and secret places where you can escape to whenever you want to get away from the crowds. Hvar is a popular destination with a jet set reputation. The island is part of the central Dalmatian archipelago and has an abundance of interesting and fascinating attractions, including Stari Grad, Hvar Town, Jelsa and Vrbovska. It’s also famous for its fragrant lavender production. There is an annual lavender festival in June. Situated on the southern coast is Lastovo Island. This island is famous for its annual carnival where you can see the locals all dressed up in beautiful folk costume finery. If you like to party the island of Pag should definitely be at the top of your must-visit list. Situated in the northern zone of the Adriatic, Pag is known as the sunniest Croatian island because it enjoys over 2,500 hours of sunshine every year. Rab is situated in the northern Croatian coast and is known for its beautiful sandy beaches and impressive medieval monuments and buildings. Lopar, Supetarska Draga, Kampor, Banjol and Rab Town offer plenty of options to keep you interested and busy. The tiny island of Silba has only one inhabited town. It does however, have many beautiful beaches, including Sotorišće. There are also a few shops, cafes, bars and restaurants, and some hidden places that are well worth exploring. Located in the Kvarner Gulf, Unije is a tiny island with a small number of inhabitants, and just one village. This is the perfect destination if you want to enjoy hiking in nature or swimming in the crystal clear sea. The island’s port boasts a beautiful sandy beach on one side and a pebble beach on the other. We are experts in all things Croatia. Our team (most of whom are Croatian) will be able to recommend islands which are their personal favourites, as well as the best ones to visit on a Croatia multi-centre holiday. Alternatively, call us today to find out more about a Croatia island-hopping cruise. Our number is 020 8004 2345.